The Court of a Appeal has upheld a decision of the High Court to the effect that safeguarding directions, relating to the HS2 project, do not constitute a plan or programme triggering the need for a strategic environmental assessment: The Queen on the application of HS2 Action Alliance, London Borough of Hillingdon v The Secretary of State for Transport v High Speed two HS2 Ltd  EWCA Civ 1578. The High Court decision is dealt with in my blog HS2 and Strategic Environmental Assessment – Again! To recap, safeguarding directions, issued pursuant to powers under section 74(2) of the Town and Country Planning Act 1990 and section 25 of the Town and Country Planning (Development Management Procedure) (England) Order SI 2010/2184, enable the Secretary of State to restrict the granting of development consents which may conflict with a major infrastructure project such as HS2. In R. (on the application of Buckinghamshire CC) v Secretary of State for Transport  UKSC 3;  1 WLR 324, the Supreme Court held that the initial government policy commitment to build HS2, contained in a document entitled High Speed Rail: Investing in Britain’s Future: Decisions and Next Steps (Cm 8247, 10 January 2012), did not constitute a ‘plan or programme’ which ‘set the framework for future development consent of projects’. This would have necessitated a strategic environmental assessment to be conducted pursuant to Directive 2001/42/EC of the European Parliament and of the Council of 27 June 2001 on the assessment of the effects of certain plans and programmes on the environment. Parliament would decide whether to grant consent, by way of the hybrid bill procedure, and the document could bind it in any way. In the present case the claimants argued that the safeguarding directions constituted a ‘plan or programme setting the framework for development consent’ because they tied the hands of the individual planning authorities along the route. Thus, they would effectively control the nature of development within a corridor running the entirety of the route and ensure that it was commensurate with the building of a high speed line. “While the Directions constrain the manner in which the local planning authority may determine an application, they do not place any constraint upon the Secretary of State for Communities and Local Government when he determines an appeal under section 78 . While it is highly likely that on appeal the Secretary of State for Communities and Local Government would place considerable weight on the three objectives that are set out in the Guidance Notes and the Directions themselves (see paragraphs 6 and 7 above), he would not be doing so because they are the stated aims of the Directions. The three objectives would be weighty planning considerations because of the national importance which the Government attaches to the implementation of the HS2 project, as evidenced by the fact that it is promoting the hybrid Bill.” (Sullivan LJ at para ). This leads to the other major reason for rejecting the appeal, namely, that the directions have no independent force and cannot be viewed as distinct entities from the policy commitment to build HS2. They are shaped by the project which is currently being authorised under the hybrid bill procedure. The directions are inextricably linked with that project and have had to be adapted on a number of occasions as the project evolves. Thus, given that the Supreme Court has already ruled that the project itself is not a plan or programme, it would be illogical to regard the directions as constituting plans or programmes in themselves. Rather, they are mere manifestations of that project and are shaped by it. Otherwise, One could say that it would be a case of the tail wagging the dog! HS2 and Strategic Environmental Assessment – Again! To recap, the SEA Directive requires the assessment of environmental effects resulting from strategic planning decisions. For example, a development plan, which zones large areas for particular types of development, restricts the manner in which individual development consents can be granted. To give an obvious example, a development plan would militate against the granting of a planning consent for the construction of a factory in an area zoned for residential housing. Certain individual projects are subject to environmental impact assessment pursuant to Directive 85/337. However, if a strategic decision has already been made to allow certain types of development in an area, it would be nonsensical to leave the consideration of environmental effects until an application for a specific project is received. The environmental effects could not be properly considered because there would already be a strong presumption in favour of the development. The Supreme Court case of earlier this year centred on the issue of at what point the requirements of SEA are engaged. 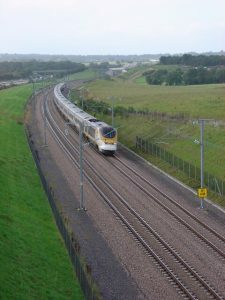 Article 3(2) of the SEA Directive and reg 5(2) & (3) of the SEA Regulations (SI 2004/1633) state that the need to undertake an SEA is triggered by the adoption of a ‘plan or programme.’ The Supreme Court held that a policy document entitled High Speed Rail: Investing in Britain’s Future: Decisions and Next Steps (Cm 8247, 10 January 2), in which the Government declared its intention to adopt HS2 as a policy objective and outlined what steps it proposed to take to realize this objective, did not constitute a plan or programme because it in no way tied the hands of the body ultimately charged with authorising the scheme – in this case Parliament under the hybrid bill procedure. In the present case opponents to HS2 argued that ‘safeguarding directions’ issued by the Secretary of State, pursuant to powers under section 74(1) of the Town and Country Planning Act 1990, constituted a plan of programme for the purposes of SEA. A safeguarding direction protects the site of a development from conflicting planning decisions. The claimants argued that, given that the directions control the type of development which can be authorised along the route, they are of a strategic nature and fall within the definition of plan or programme. Thus, they sought judicial review of the decision on the grounds that it should have been preceded by an SEA. The HS2 project itself is not a plan or programme under article 3(2) of the SEA Directive . And neither, in my view, are the safeguarding directions which serve to protect it. The directions are a manifestation of the project as a zone of safeguarded land for Phase 1. The safeguarded area takes its shape from the project. Its boundaries have twice been altered to accommodate changes made to the proposals as they mature. No doubt the directions demonstrate the Government’s belief that the safeguarded land provides a viable route for the railway and sufficient land to enable its construction. But they do not represent the evolution of the HS2 project into a plan or programme setting the framework for future development consent. They adjust the procedures for making planning decisions, providing formal arrangements for HS2 Ltd. to be consulted and ultimately for the Secretary of State to intervene in the process by restricting the grant of planning permission. They are not, however, a framework of policy or criteria constraining the discretion of the decision-maker in the making of the decision. It will be the HS2 project itself, as it is at the relevant time, which informs the response of HS2 Ltd. to consultation and the intervention of the Secretary of State in the process, if he does intervene. This decision has to be correct. Earlier this year a unanimous Supreme Court made it clear that the document entitled High Speed Rail: Investing in Britain’s Future: Decisions and Next Steps did not constitute a plan or programme. The realization of the policy ambition expressed within the document necessitates a myriad of preliminary decisions and actions. If individual decisions are isolated from this overall policy objective and regarded as establishing a plan or programme in themselves, the decision of the Supreme Court would be entirely undermined. Planning blight is an inevitability of any large scale infrastructure project. Its effects are felt as soon as the scheme is mooted with any degree of seriousness and it sets in long before specific measures, such as safeguarding clauses, are adopted. The following is a brief synopsis of the issues considered by the Supreme Court. The central issue was whether the Coalition Government was entitled to adopt HS2 as a key policy objective, and announce its intention to promote the scheme, without first conducting a full strategic environmental assessment pursuant to Directive 2001/42/EC on strategic environmental assessment (SEA Directive): http://ec.europa.eu/environment/eia/sea-legalcontext.htm. Such assessments are necessary in respect of large scale strategic land use plans which have far reaching effects on future land use policy in particular areas or regions. They accompany the requirements of Environmental Impact Assessment (also a requirement of EU Law) which focus on the localised impacts of individual projects: see Directive 2011/92/EU on environmental impact assessment (EIA Directive) http://eur-lex.europa.eu/LexUriServ/LexUriServ.do?uri=OJ:L:2012:026:0001:0021:EN:PDF . The Government had announced its intention to go full steam ahead with the project in a command paper entitled , High Speed Rail: Investing in Britain’s Future: Decisions and Next Steps (Cm 8247, 10 January 2): http://www.official-documents.gov.uk/document/cm82/8247/8247.pdf . Did this document amount to a planning decision falling within the scope of the SEA Directive? The SEA Directive is only engaged when the relevant government body adopts a plan or programme which is capable of legally influencing the body charged with granting development consent or fettering its discretion. For example, a decision to zone a particular area for a new garden city would have clear legal implications for the local planning authorities responsible for granting the actual planning consents. However, HS2 will be authorized by means of a Hybrid Bill procedure which is currently before Parliament which will make the final decision by approving the Bill or otherwise: for current progress of the Bill see http://services.parliament.uk/bills/2013-14/highspeedraillondonwestmidlands.html . The Supreme Court accepted the argument that, as Parliament is sovereign and cannot be made to bend to the will of the executive, the Command paper could not be construed as legally influencing the planning decision maker in the manner required by the SEA Directive. This leads to the second major issue, namely, whether the environmental impact assessment, which will be conducted as part of the Hybrid Bill procedure, meets the public participation requirements under the EIA Directive. It was accepted that the Hybrid Bill procedure offers two channels of democratic oversight; namely, by virtue of the fact that the decision makers are democratically elected representatives and that the Committee procedure enables interested parties to voice their concerns or formally petition against the Bill. The unanimous decision of 7 Justices of the Supreme Court is a ringing endorsement of the Hybrid Bill procedure as a means of authorizing major infrastructure projects of this scale. No doubt the Department of Transport will be mightily relieved by its decision to choose this procedure as opposed to the Planning Act 2008 or ministerial order under the Transport and Works Act (later it will be argued that these mechanisms may not have offered the same level of insulation from the SEA Directive). However, it raises some interesting issues regarding the relationship between the SEA Directive and the EIA Directive. In effect, a project of the magnitude of a long distance railway conflates strategic planning issues with the specific planning issues raised by the scheme itself. In one sense it is a single project, but it is a project which encapsulates a multitude of strategic considerations of national importance. As a result, it is difficult to divide the planning decision into the two step process upon which the separate SEA and EIA Directives appear to be predicated. The Hybrid Bill procedure further serves to conflate consideration of the strategic elements of the scheme and the specific and localized environmental impacts on the ground. This is because it will fall to Parliament to consider both the localized effects of the scheme and the wider strategic ramifications. Moreover, Parliament’s hand are not tied by a strong steer from a higher authority regarding how the individual scheme should fit into the wider planning picture. A Bill of another type, namely the private Bill, was instrumental in the development of the existing railway system. HS1, Crossrail and now HS2 have established that an Act of Parliament will remain the most effective means of authorizing major rail building projects in the future.